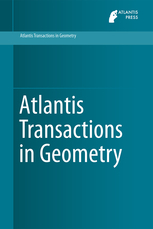 This series aims to publish contemporary results in geometry, including large parts of analysis and topology, and will publish books of both theoretical and applied nature. Theoretical volumes will focus among other topics on submanifold theory, Riemannian and pseudo-Riemannian geometry, minimal surfaces and submanifolds in Euclidean geometry. Applications can be found in biology, physics, engineering and other areas.